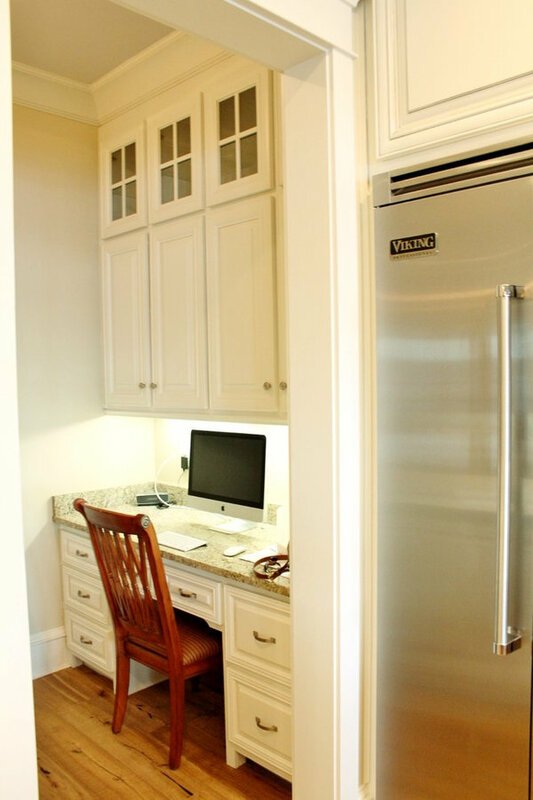 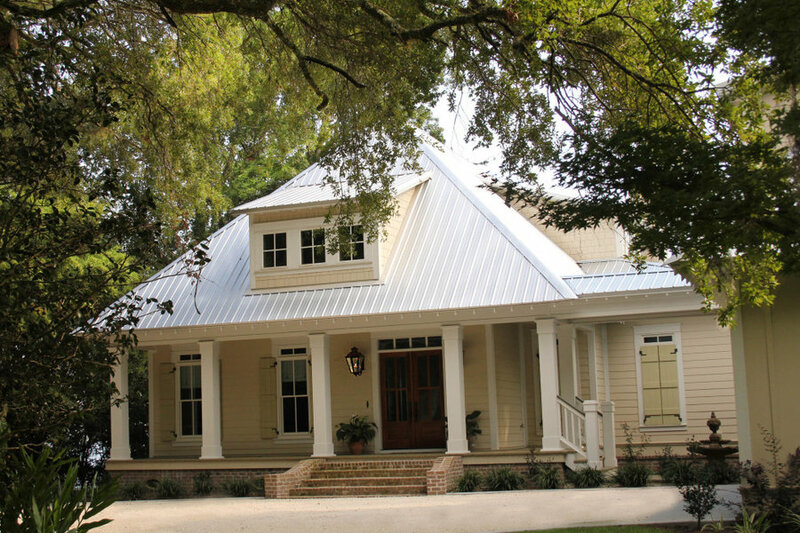 CHP-3944-A-11 Rick Twilley of Twilley Builders built his personal home to be a shining example of "Home, Sweet Home." 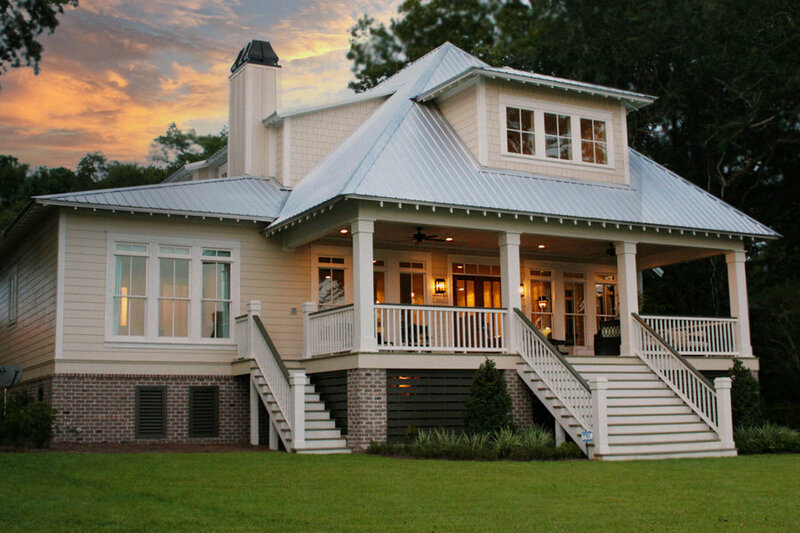 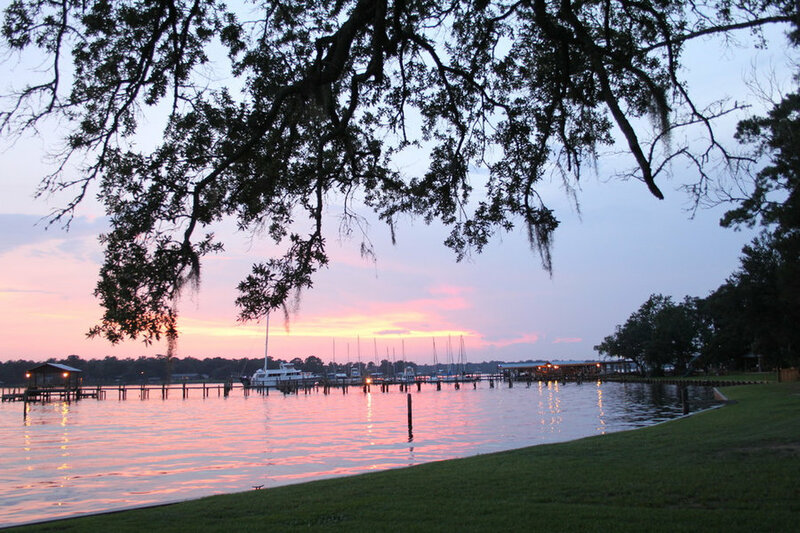 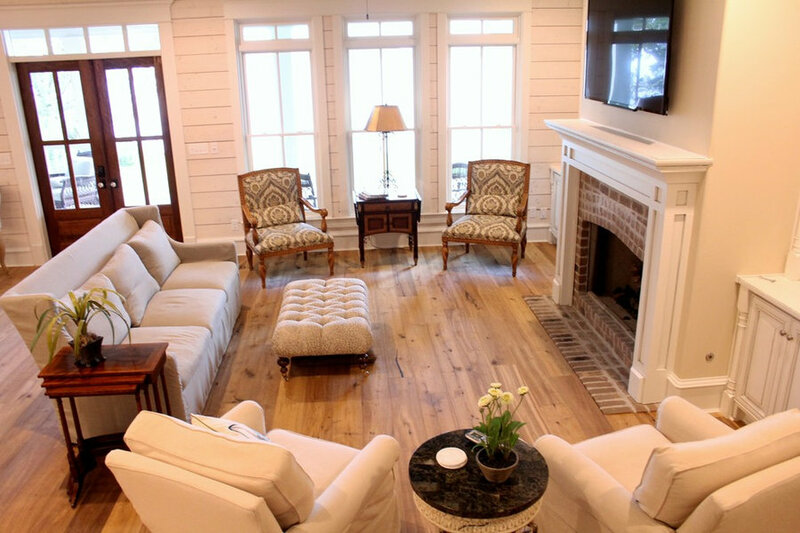 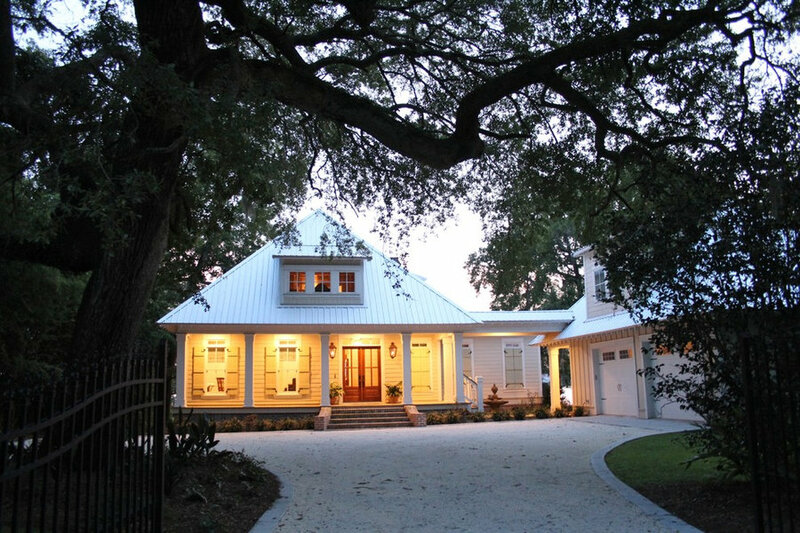 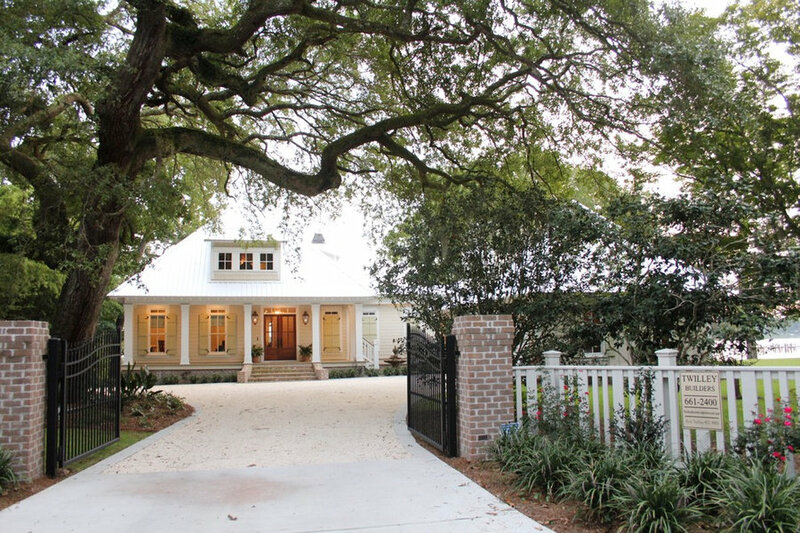 Looking over Dog River in Mobile, AL, this beautiful 4,000 square foot cottage sits under a canopy of ancient oaks and Spanish moss, luring you in with the inviting walk and warm porch lights. 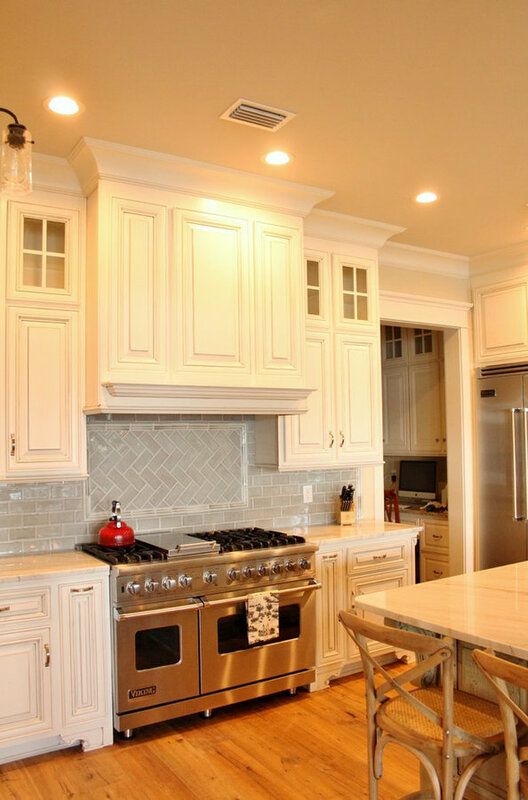 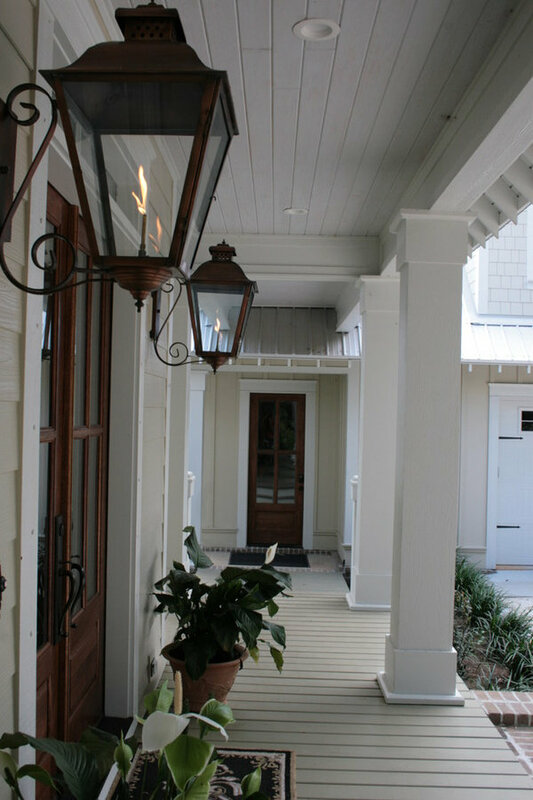 Rick's attention to detail is noticeable in every aspect of the home - from the beautiful trim and moulding to the elegant columns and woodwork. 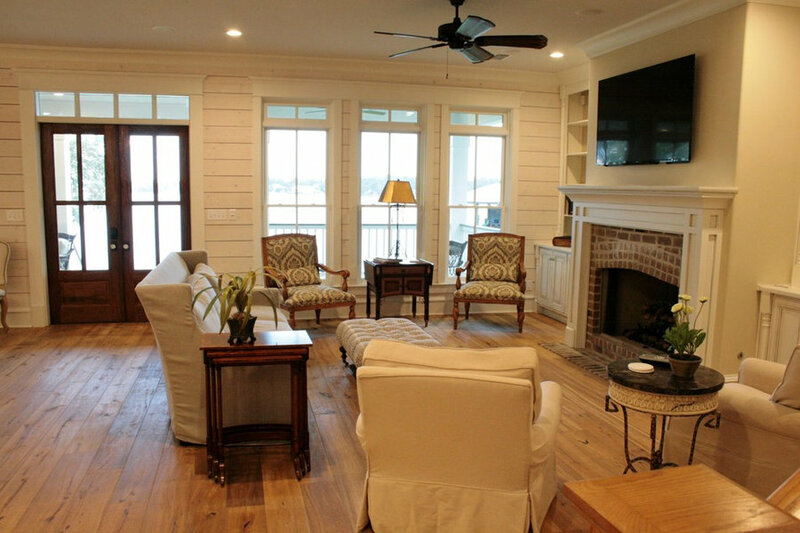 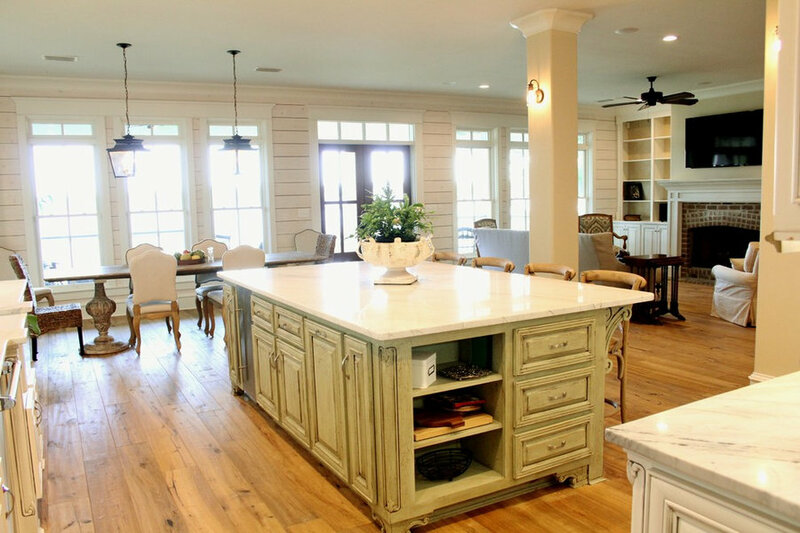 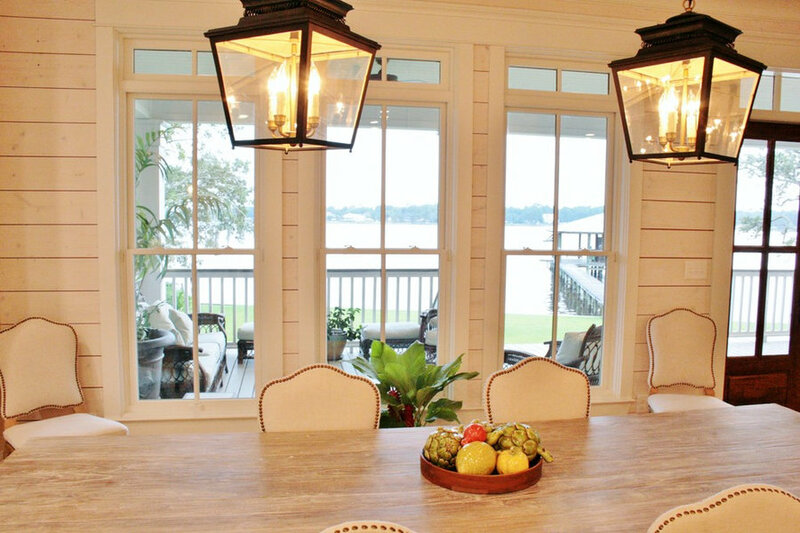 Designed by Bob Chatham, this home takes advantage of the beautiful water views with the open living, dining room and kitchen and large back porch, and is situated to fit right into it's idyllic surroundings. 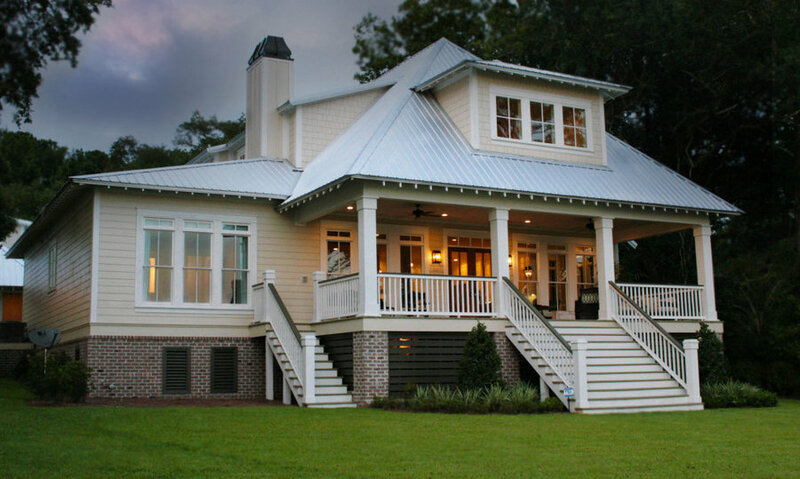 Open rafter tails and large overhangs top off the look of the exterior, while Rick and his wife Karen contribute their excellent taste and style when choosing the beautiful finishes, fixtures, materials, and warm, natural hues that truly make the house a home. 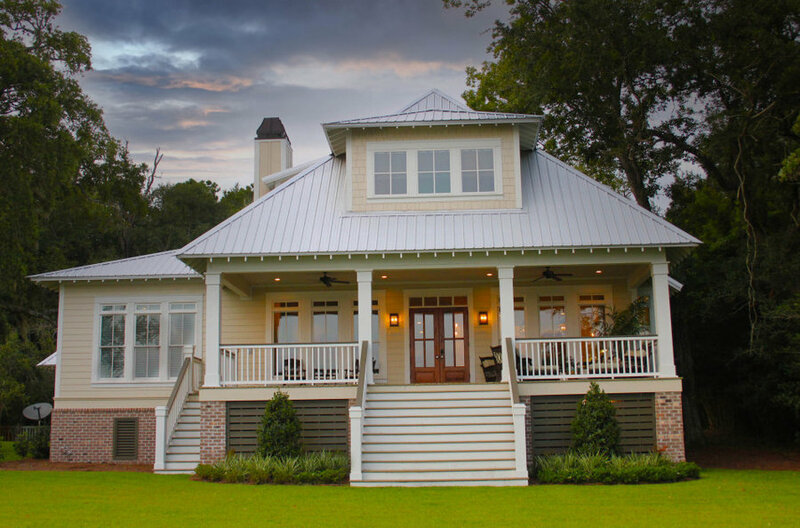 Rick Twilley of Twilley Builders built his personal home to be a shining example of "Home, Sweet Home." 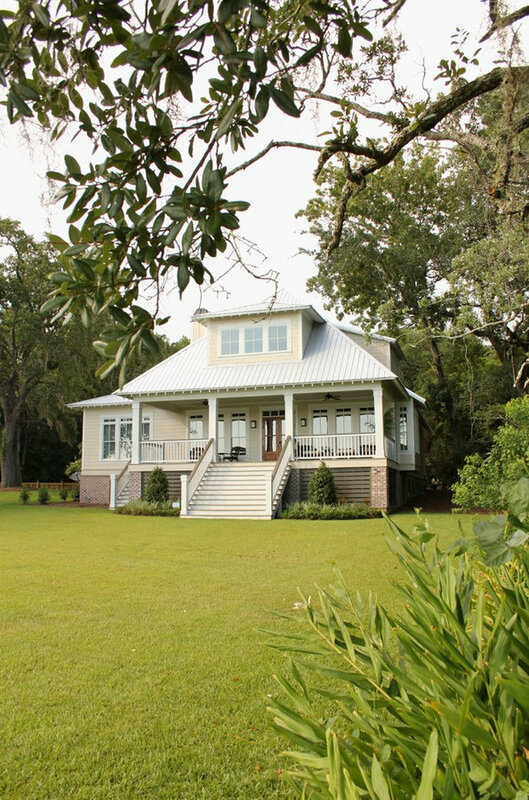 Looking over Dog River in Mobile, AL, this beautiful 4,000 square foot cottage sits under a canopy of ancient oaks and Spanish moss, luring you in with the inviting walk and warm porch lights. 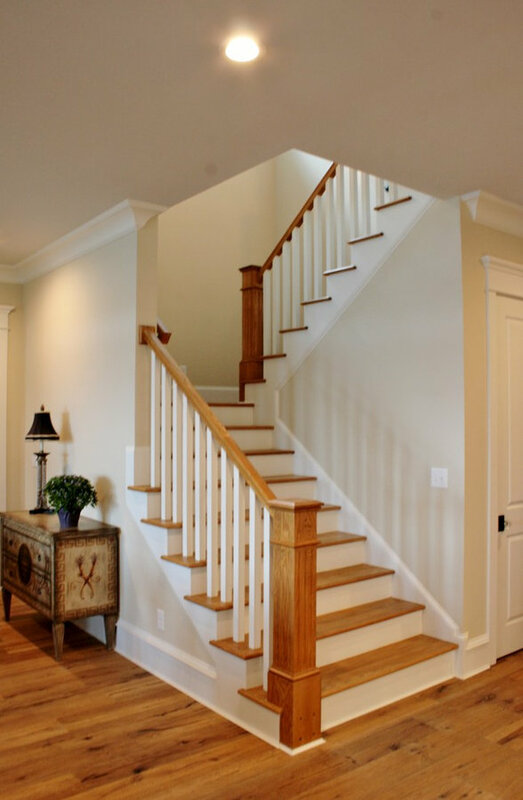 Rick's attention to detail is noticeable in every aspect of the home - from the beautiful trim and moulding to the elegant columns and woodwork. 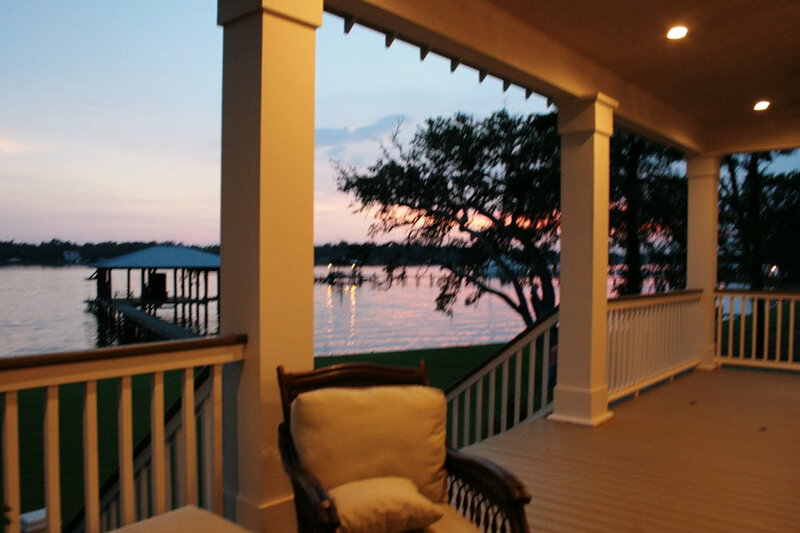 Designed by Bob Chatham, this home takes advantage of the beautiful water views with the open living, dining room and kitchen and large back porch, and is situated to fit right into it's idyllic surroundings. 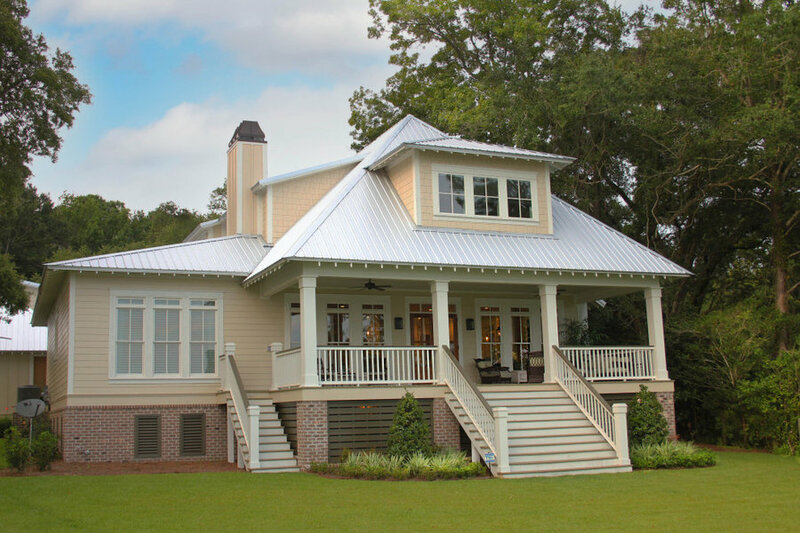 Open rafter tails and large overhangs top off the look of the exterior, while Rick and his wife Karen contribute their excellent taste and style when choosing the beautiful finishes, fixtures, materials, and warm, natural hues that truly make the house a home. 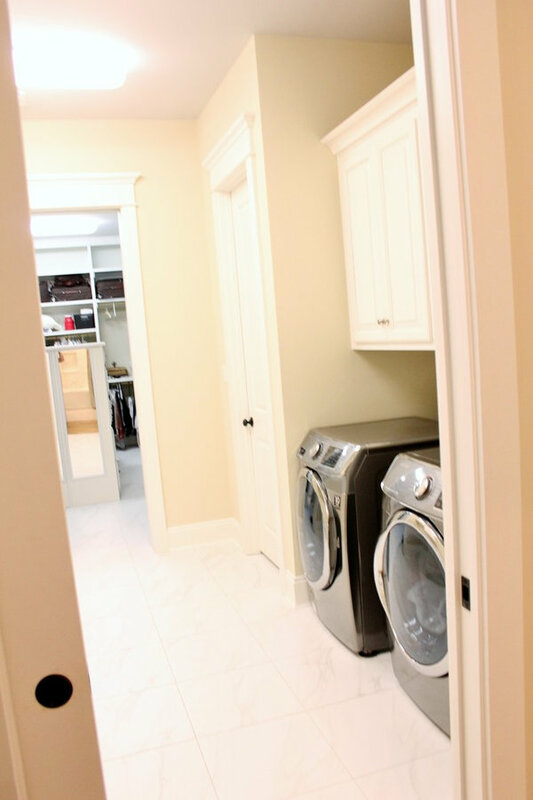 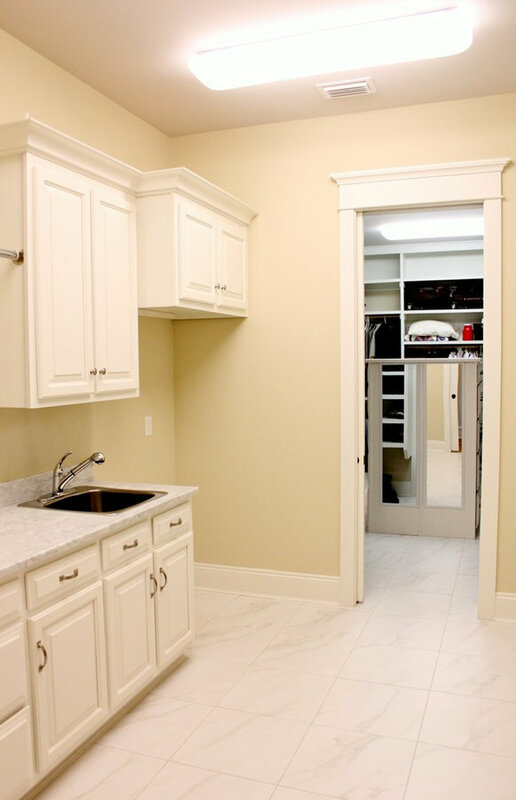 Laundry room has a sink, cabinets and storage. 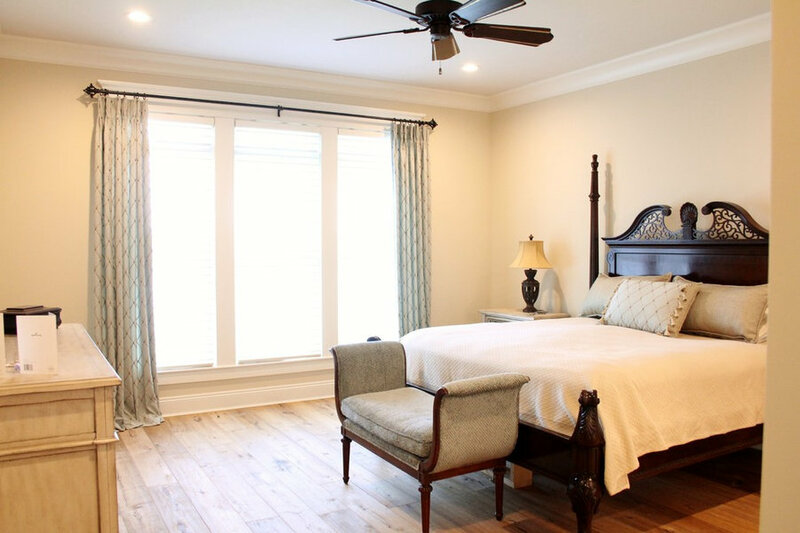 Bedroom has large windows for plenty of natural light. 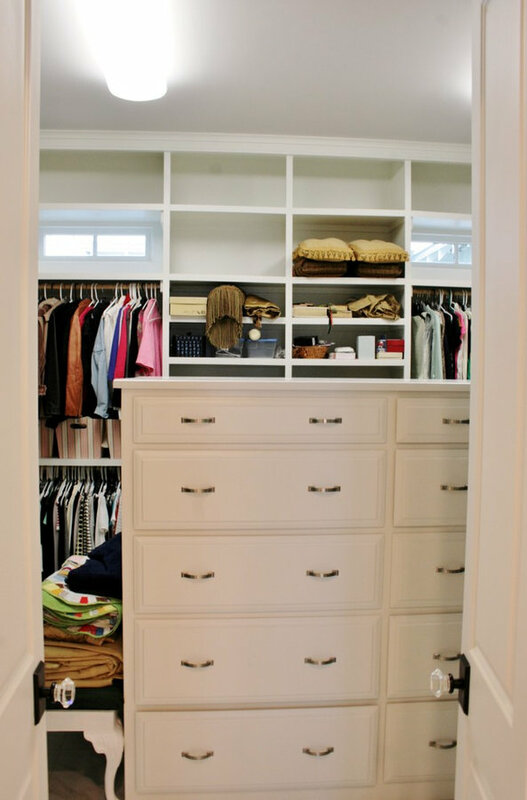 Bedroom closet has custom built in storage. 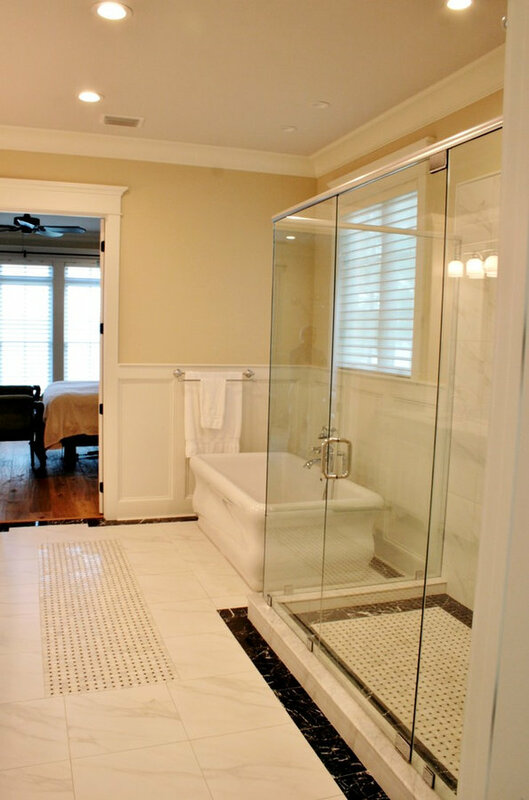 Master bath has a large shower with frame less edges and a marble tub. 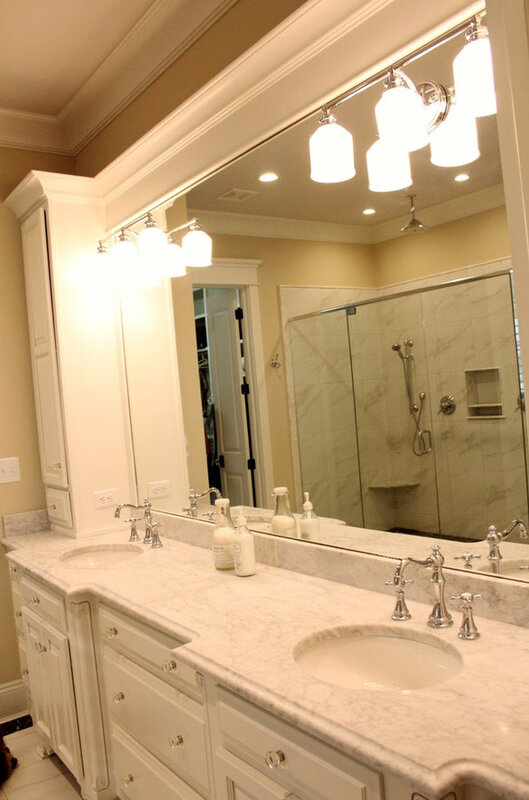 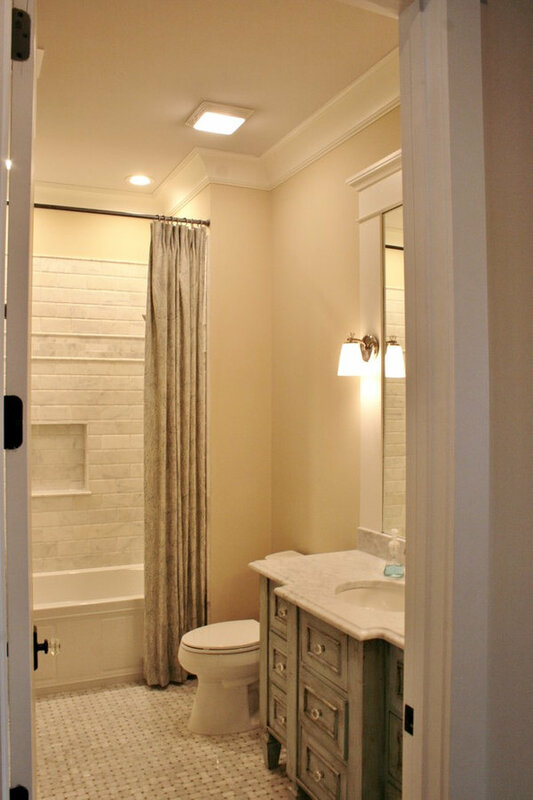 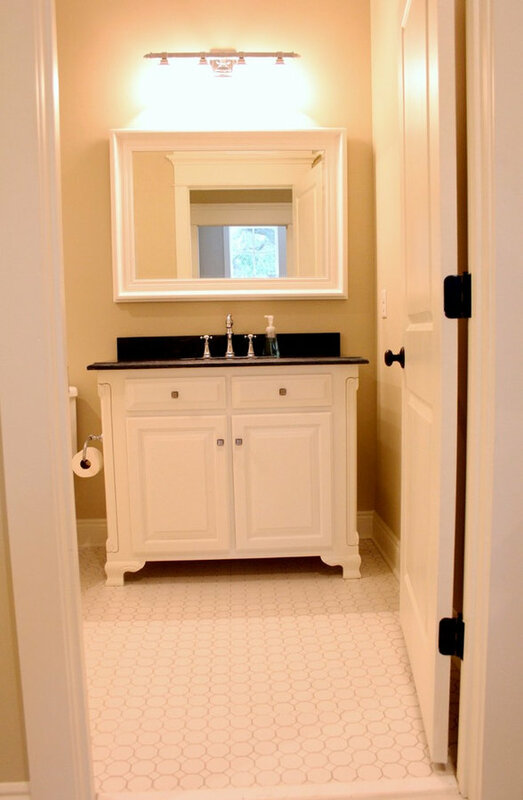 The master bath has a large shower with a marble tub, and a closet with custom built in storage. 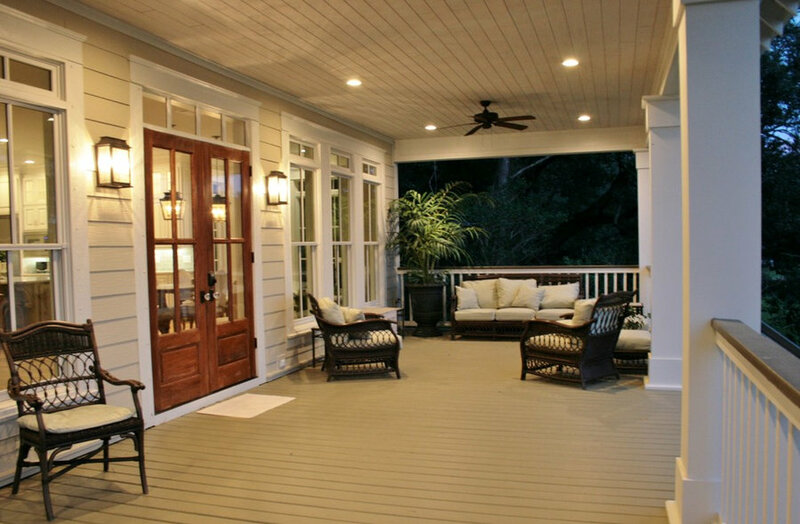 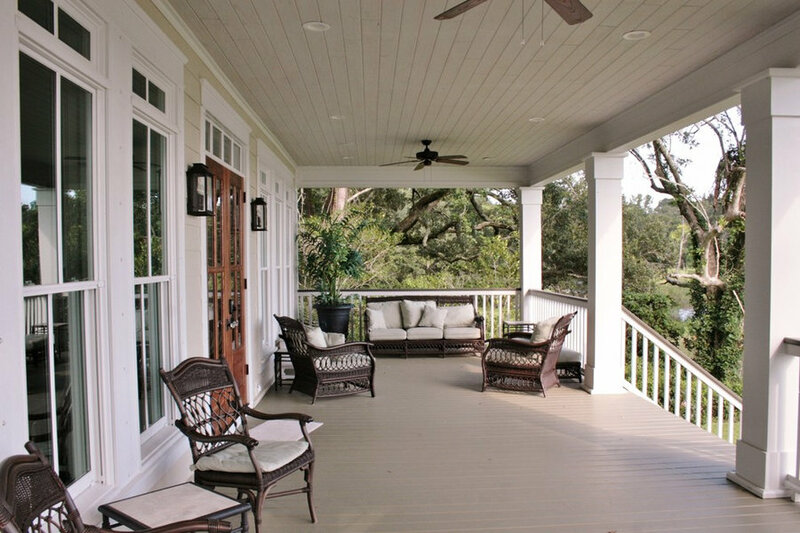 Front porch has mahogany french doors and board and batten siding. 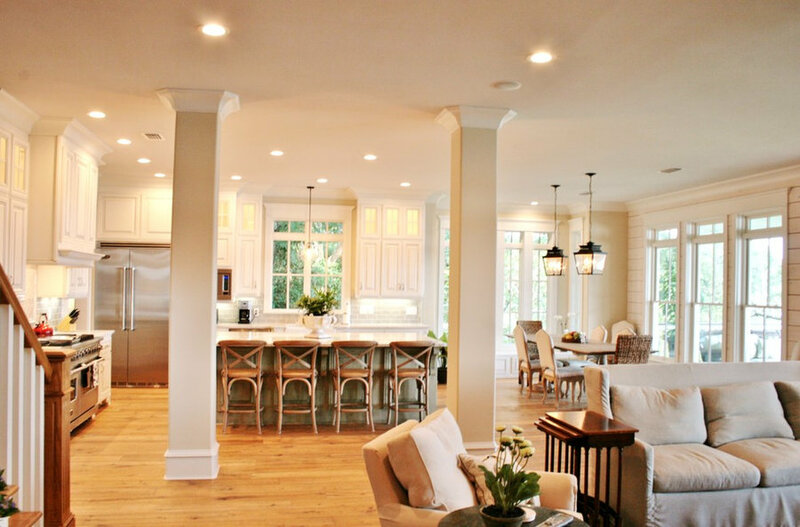 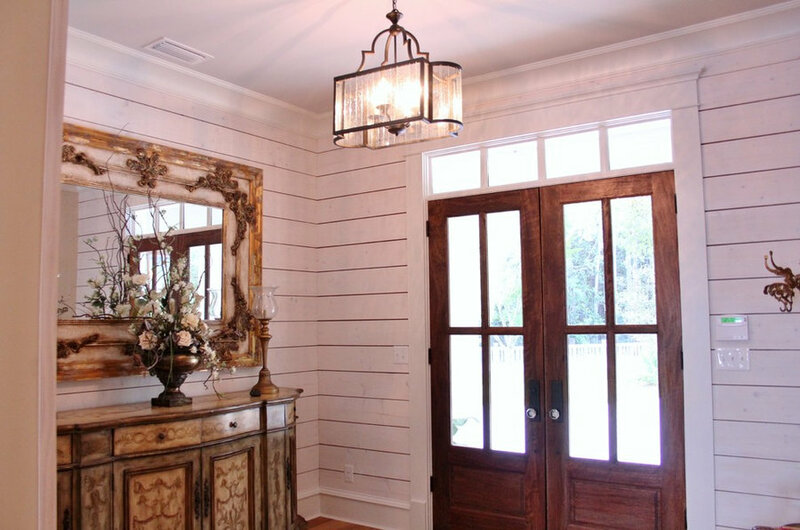 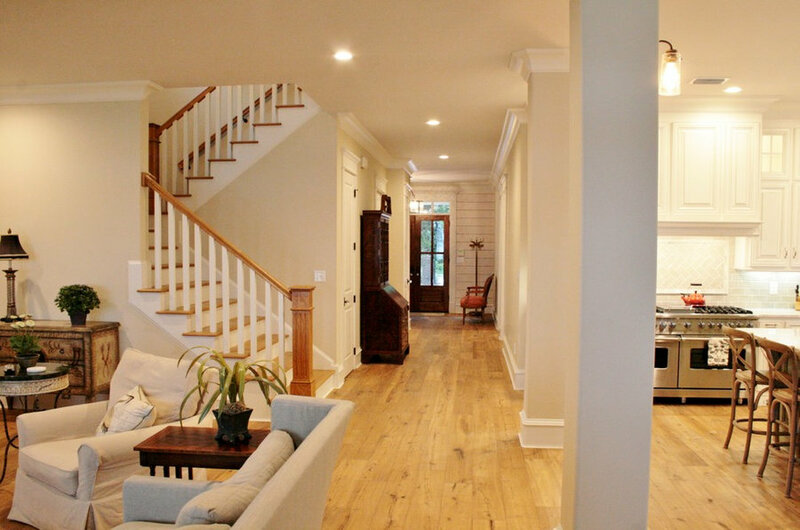 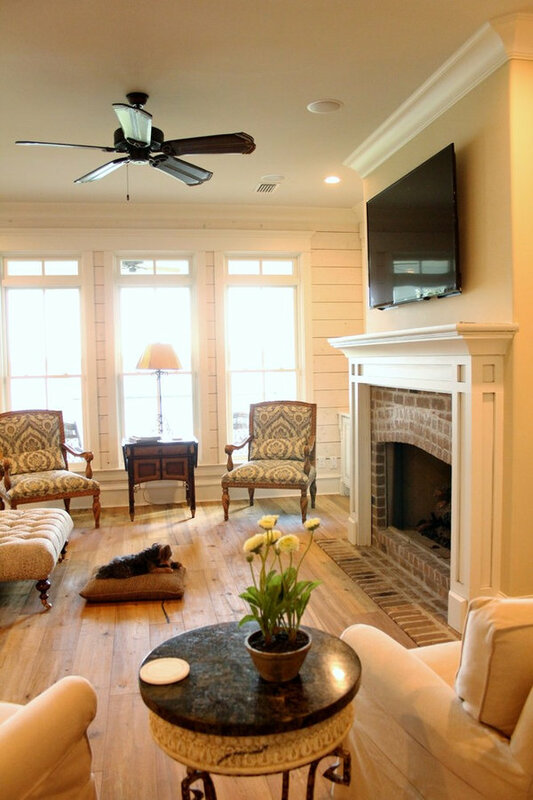 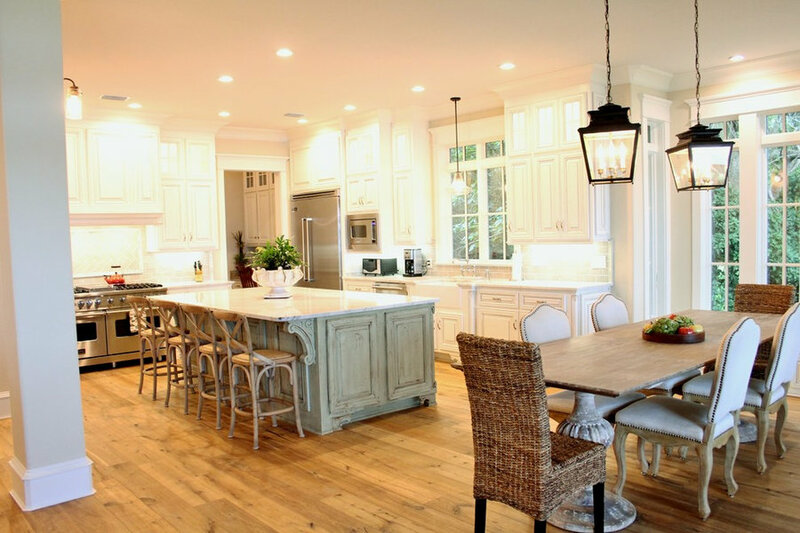 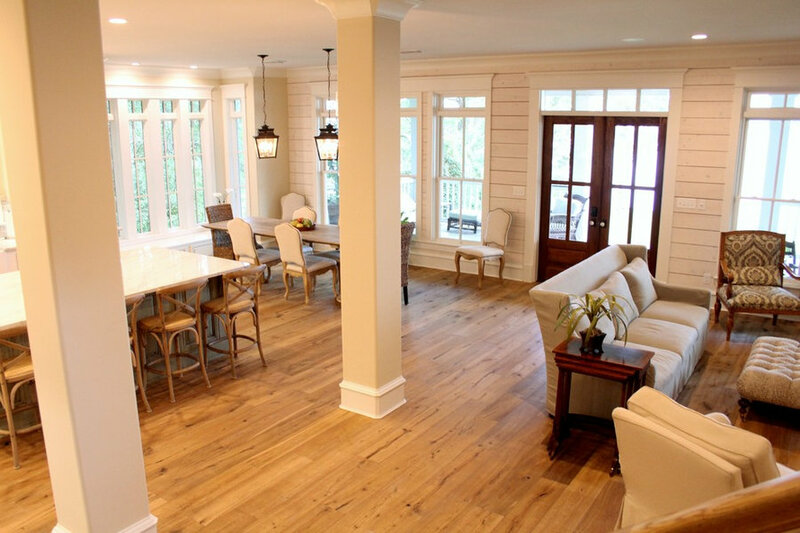 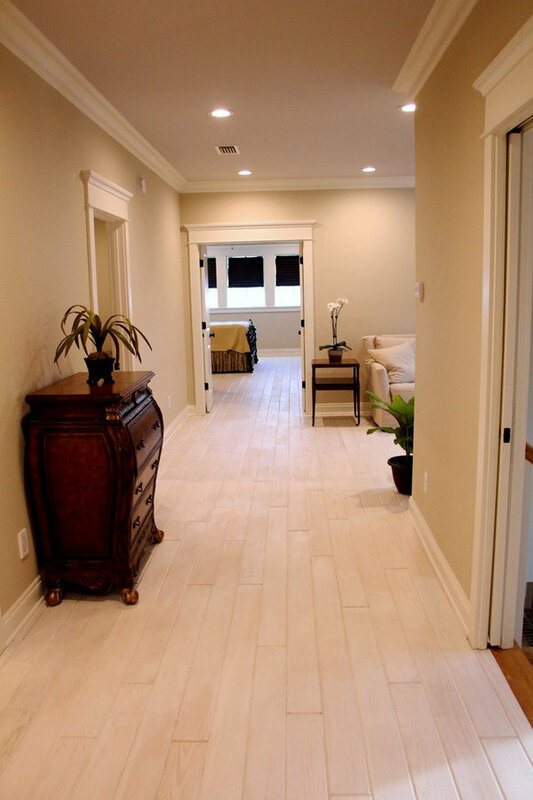 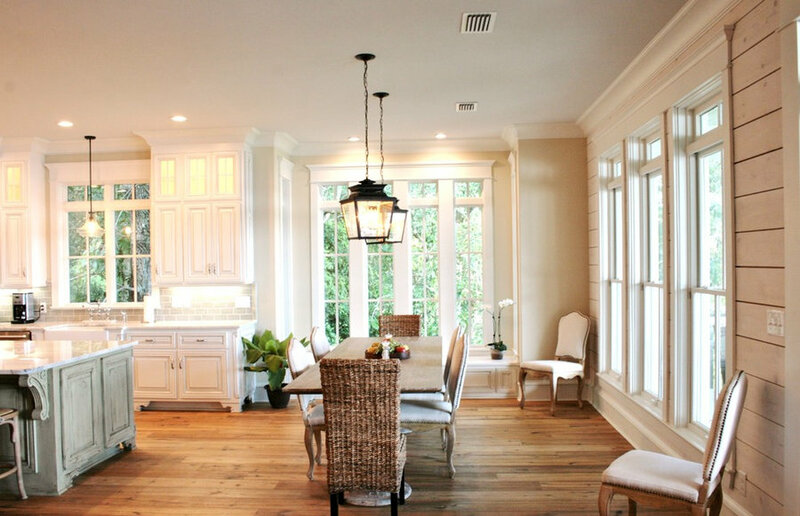 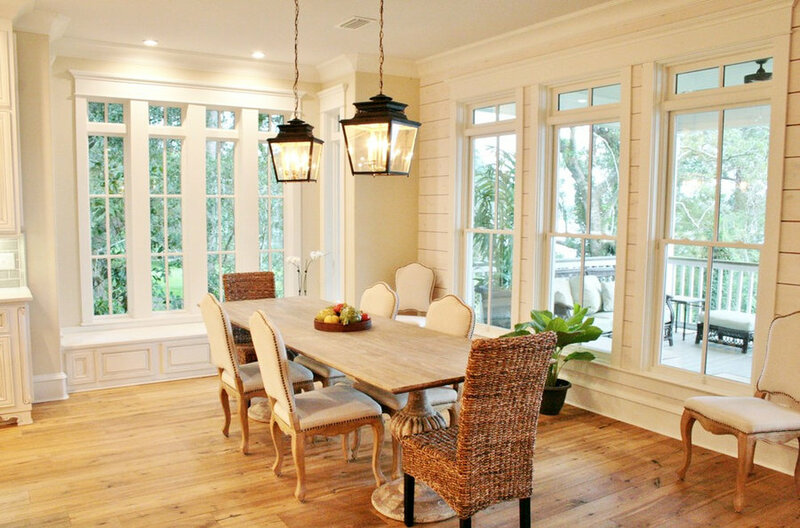 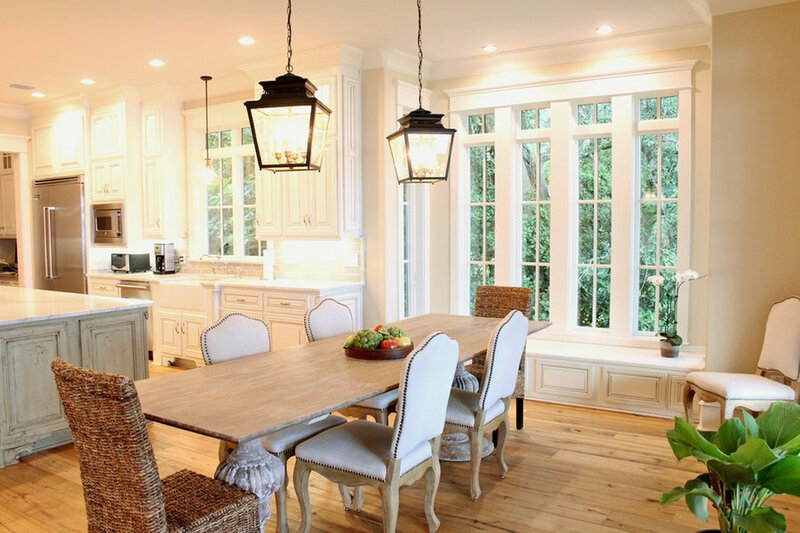 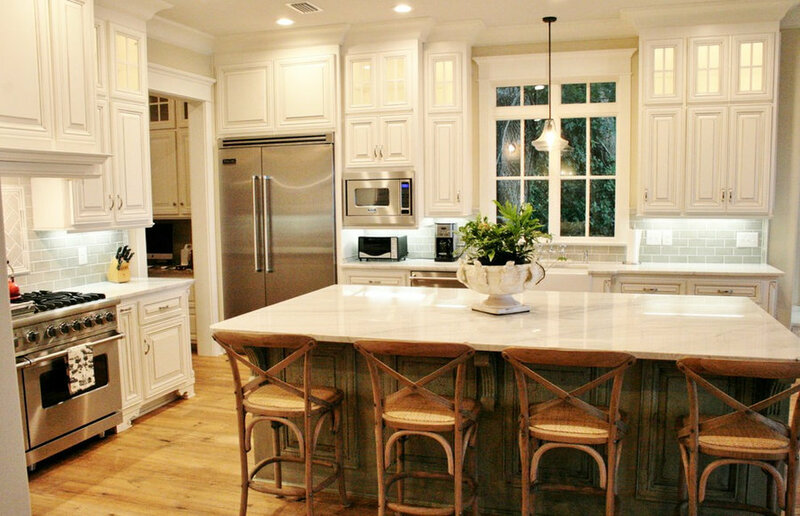 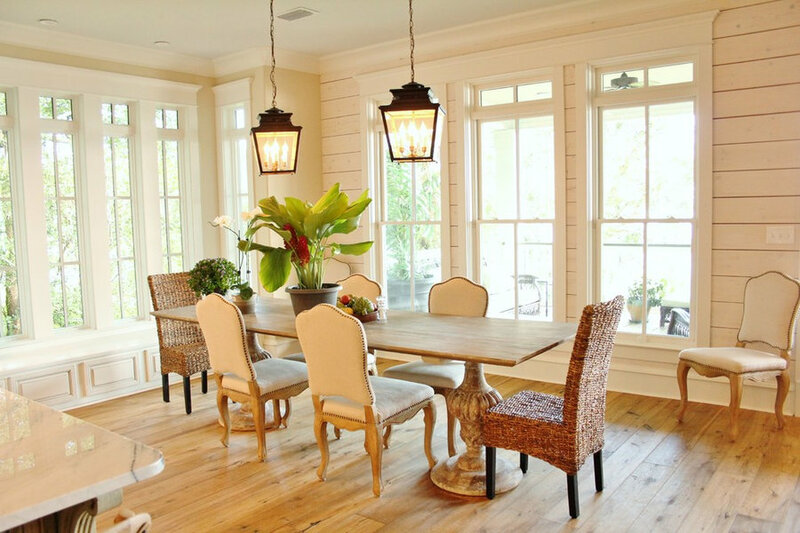 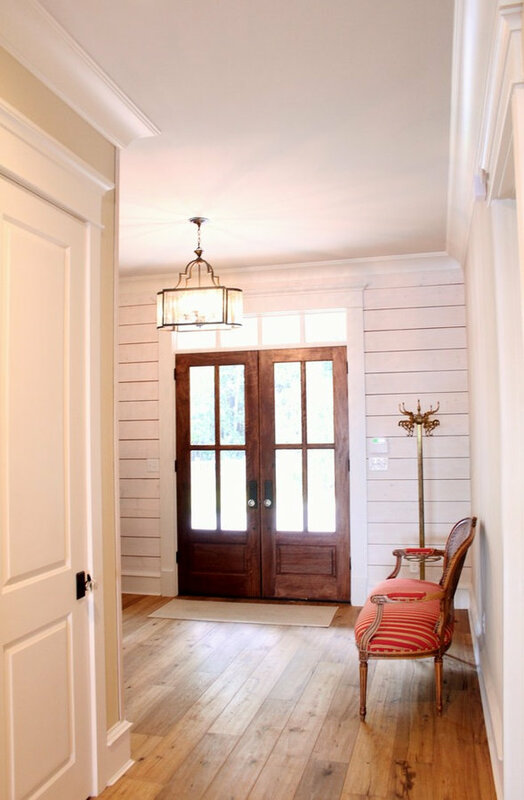 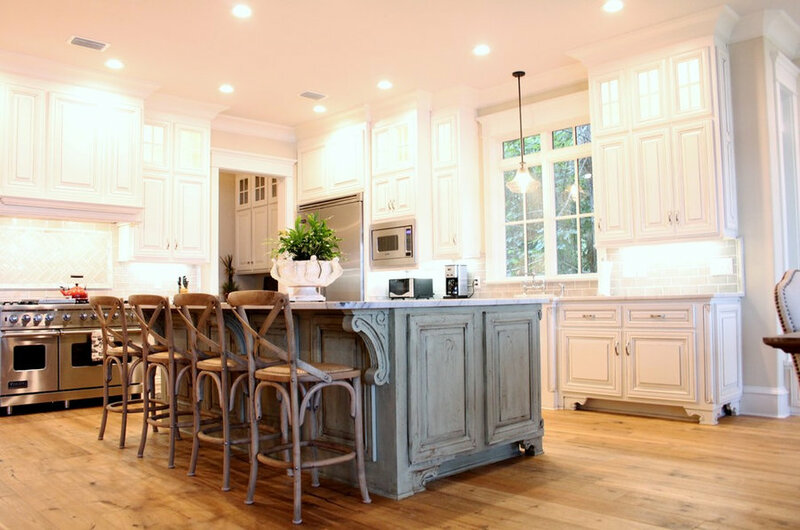 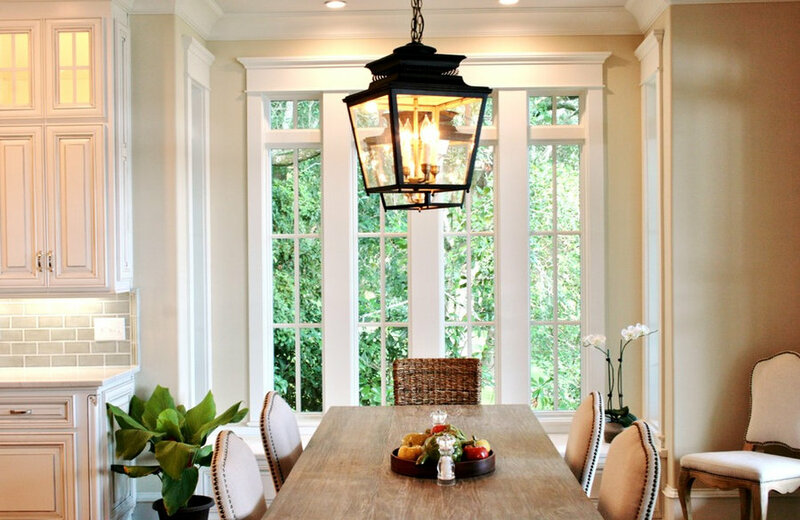 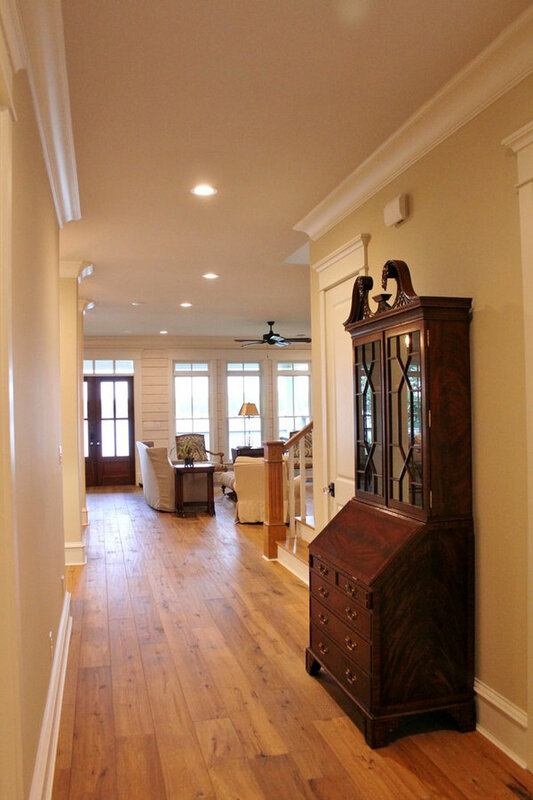 The wood plank ceiling compliments the look for a very classic appeal. 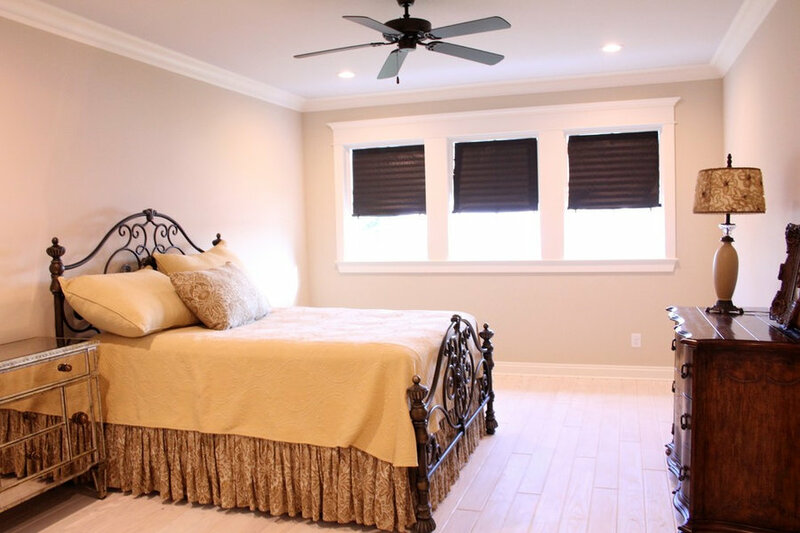 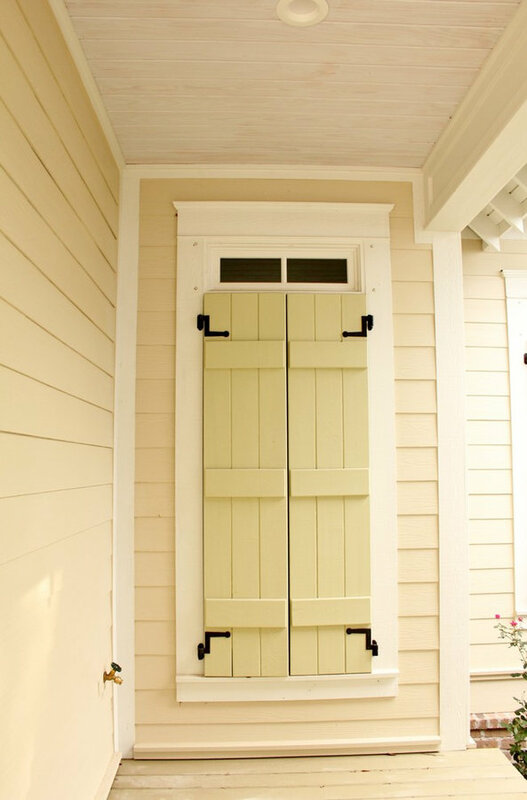 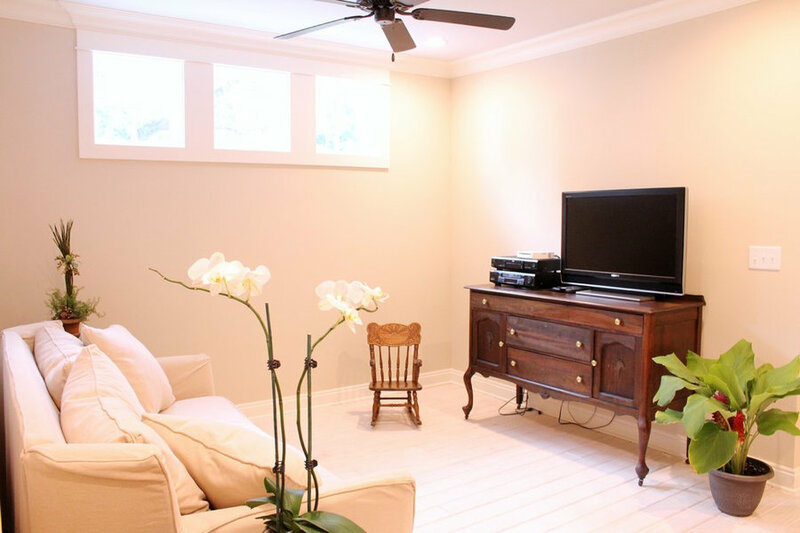 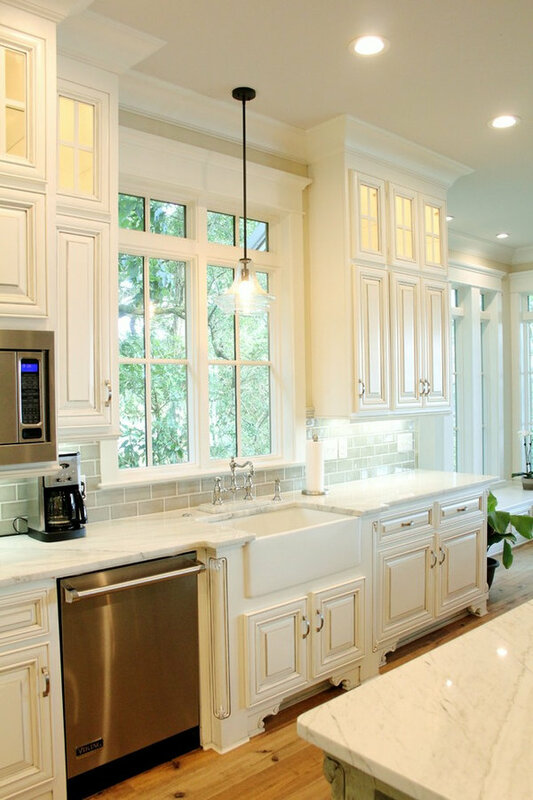 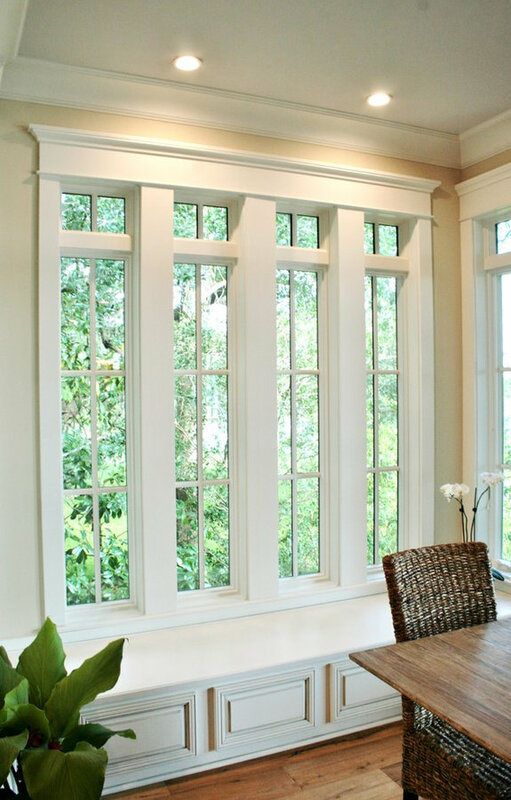 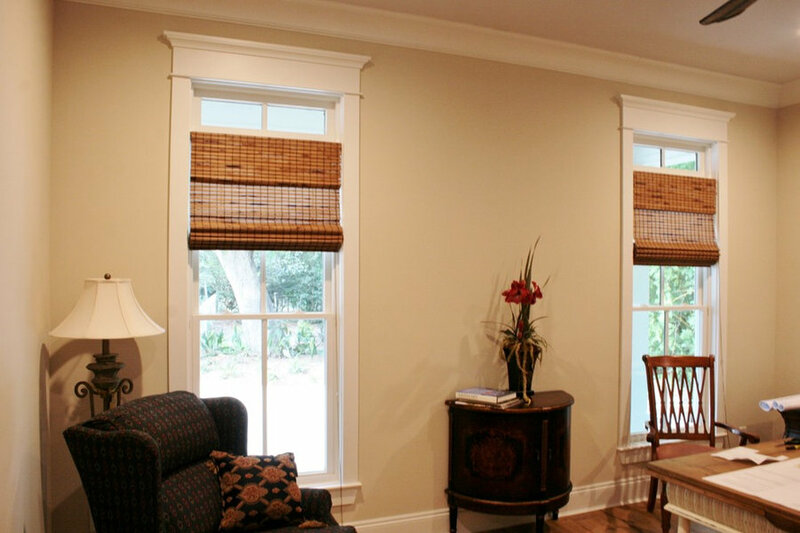 Operable shutters are not only attractive but practical. 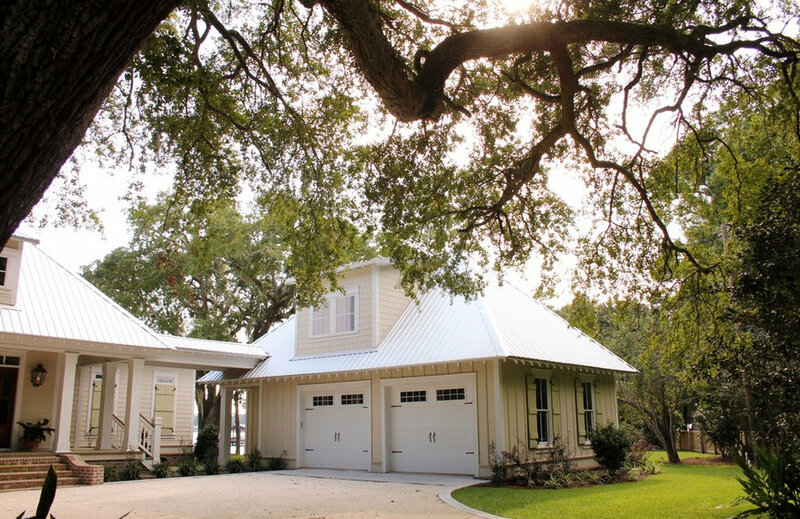 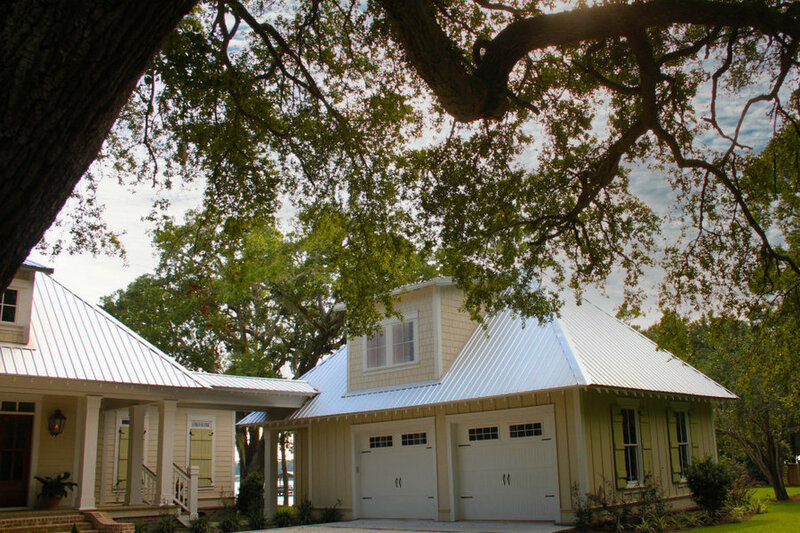 Detached garage with decorative carriage doors and storage. 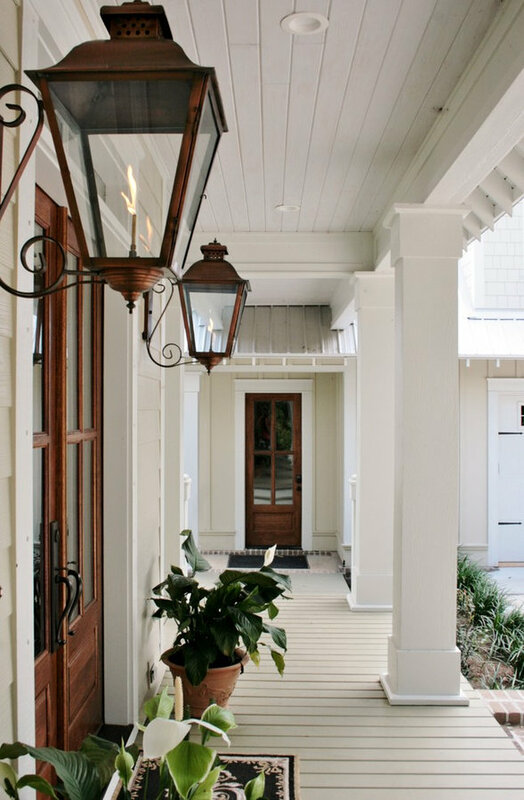 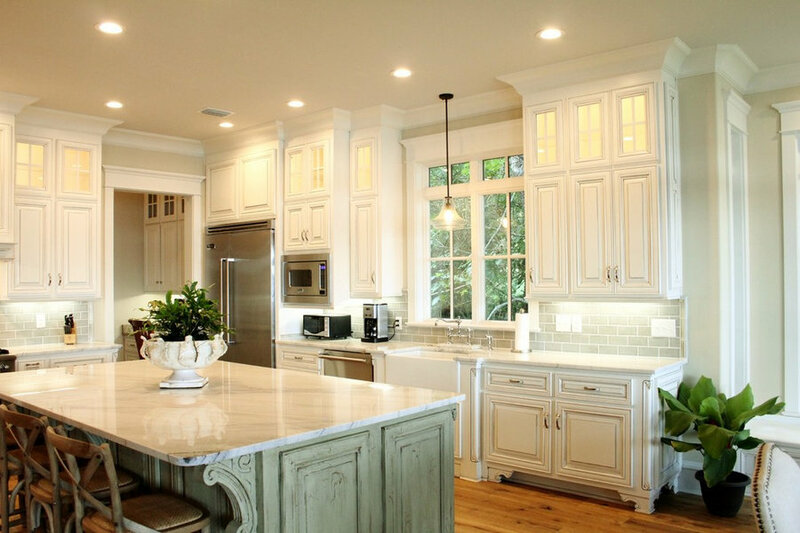 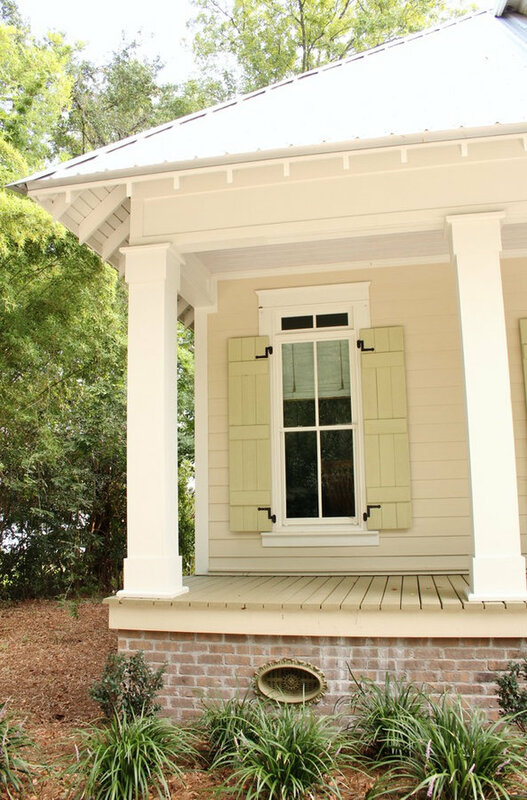 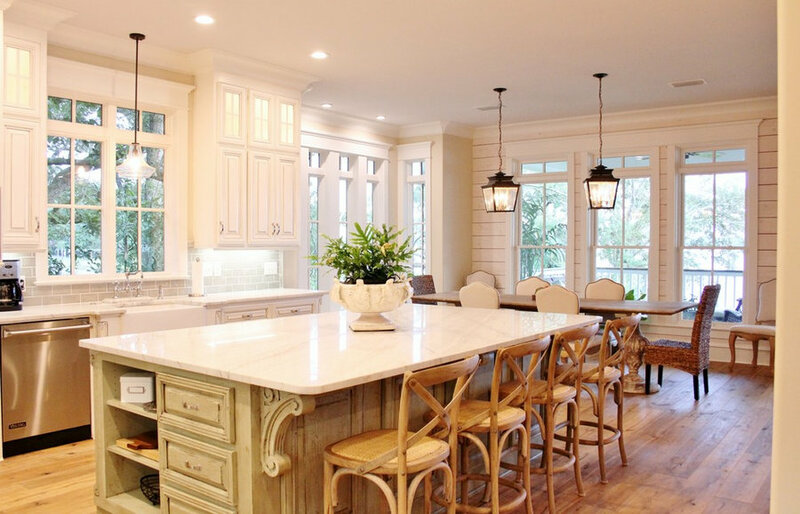 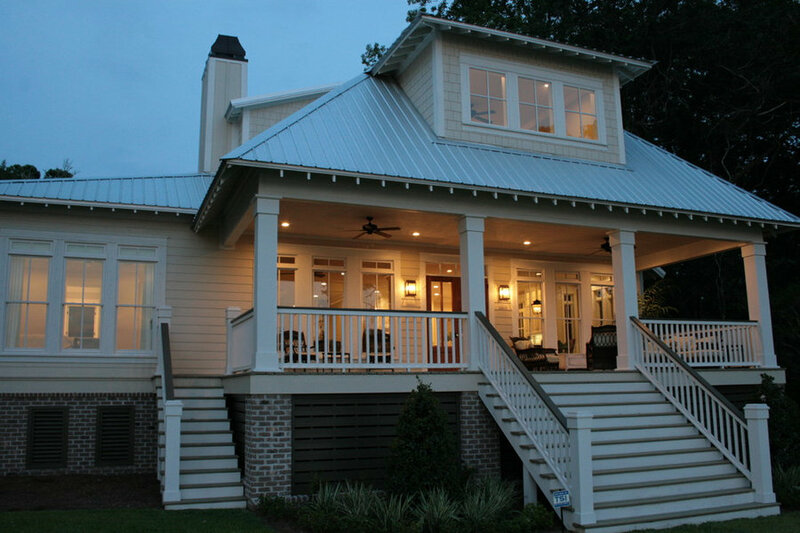 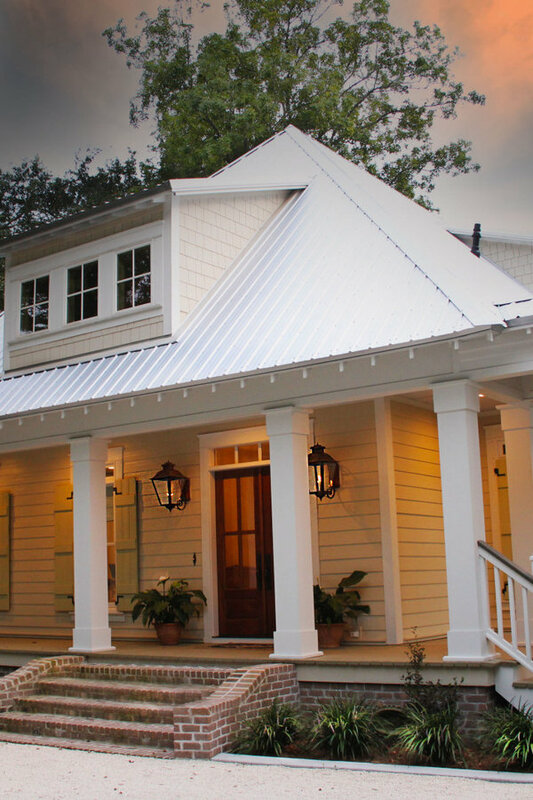 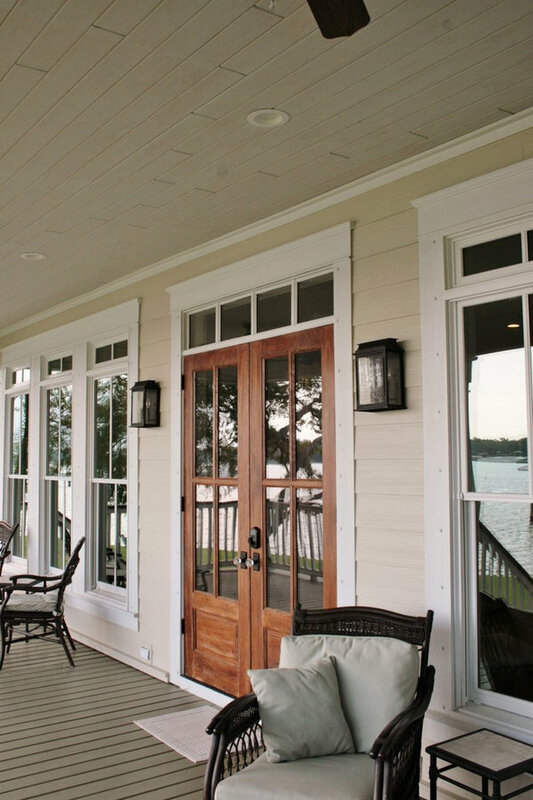 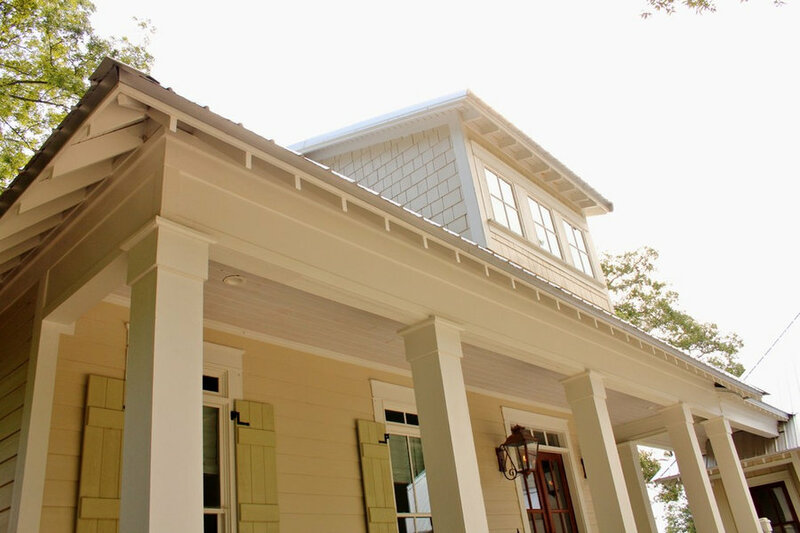 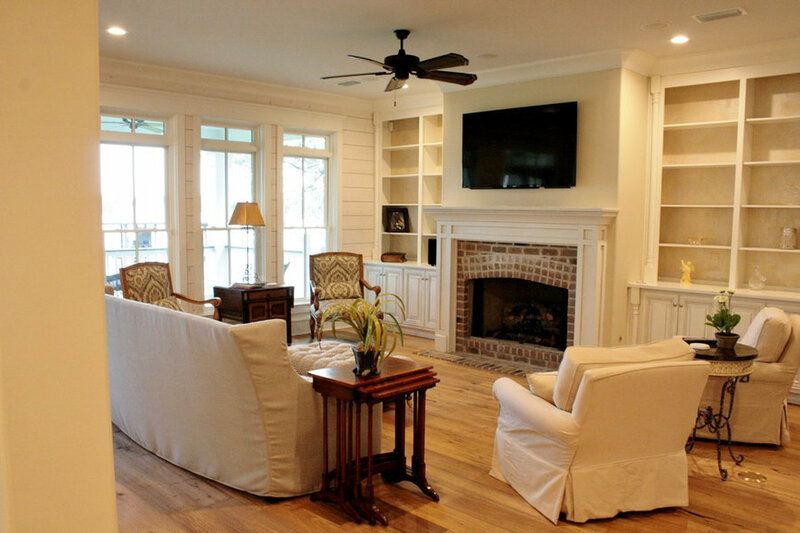 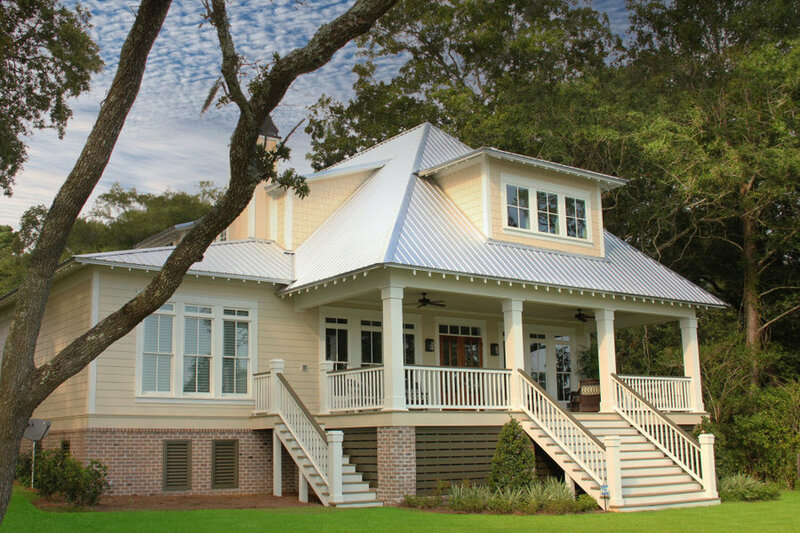 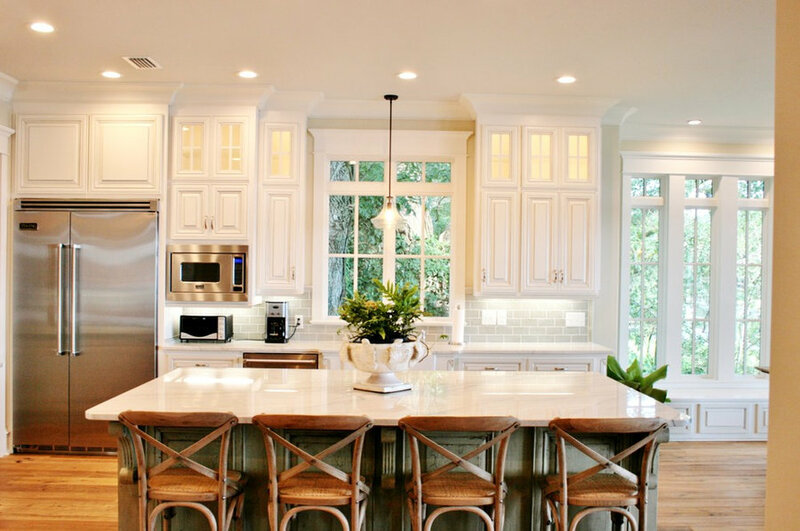 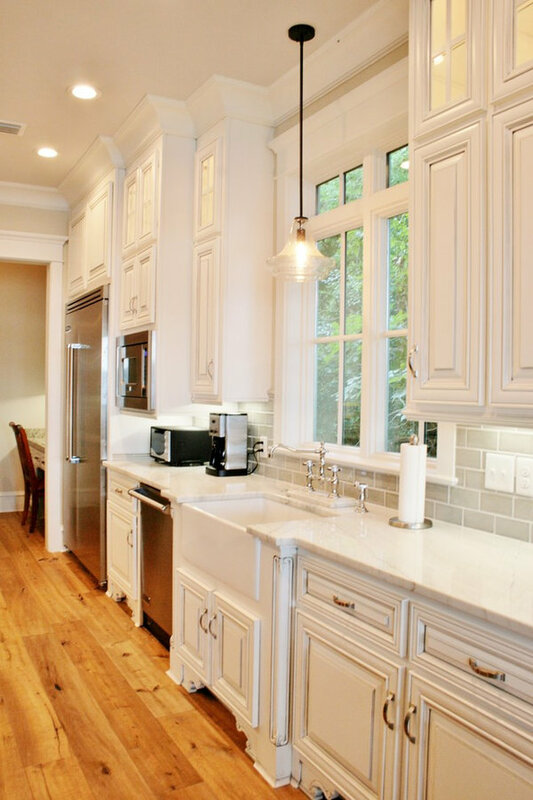 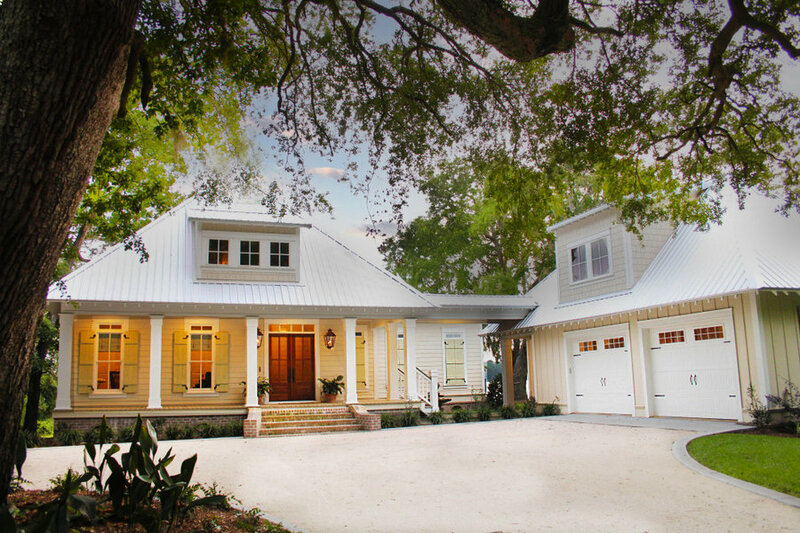 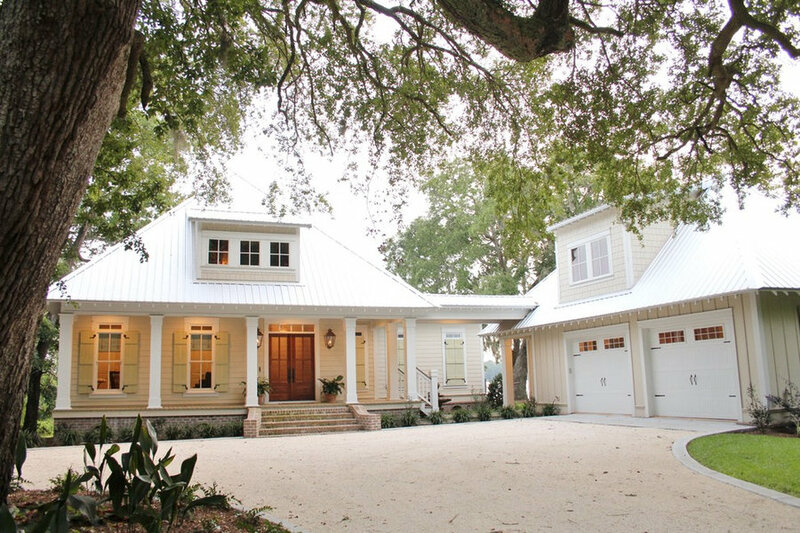 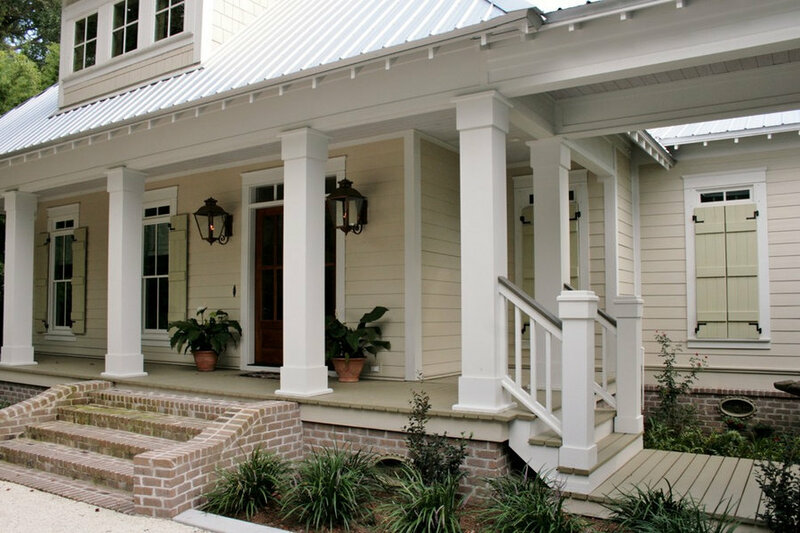 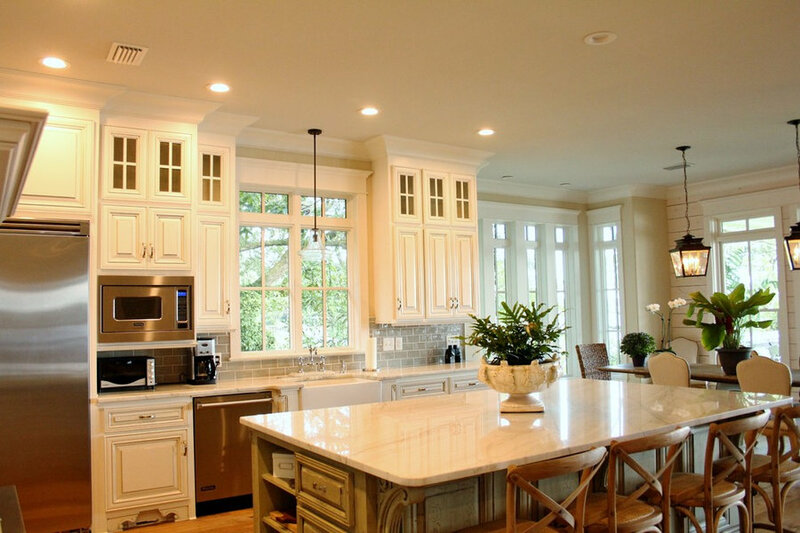 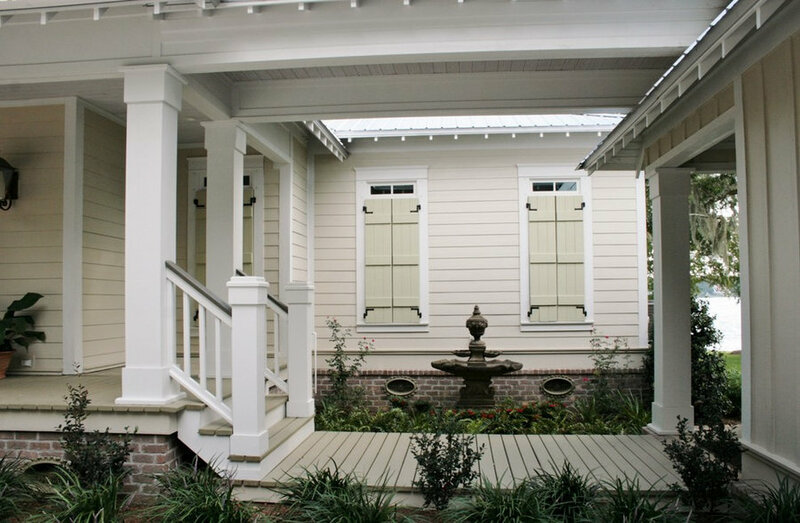 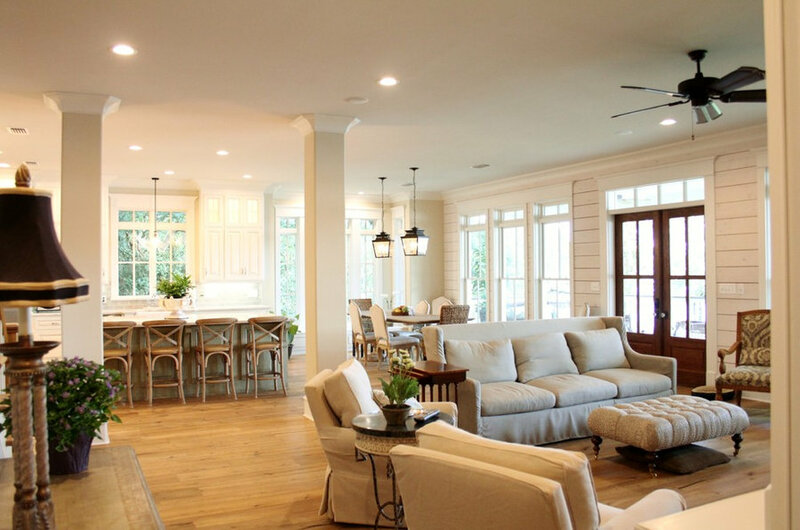 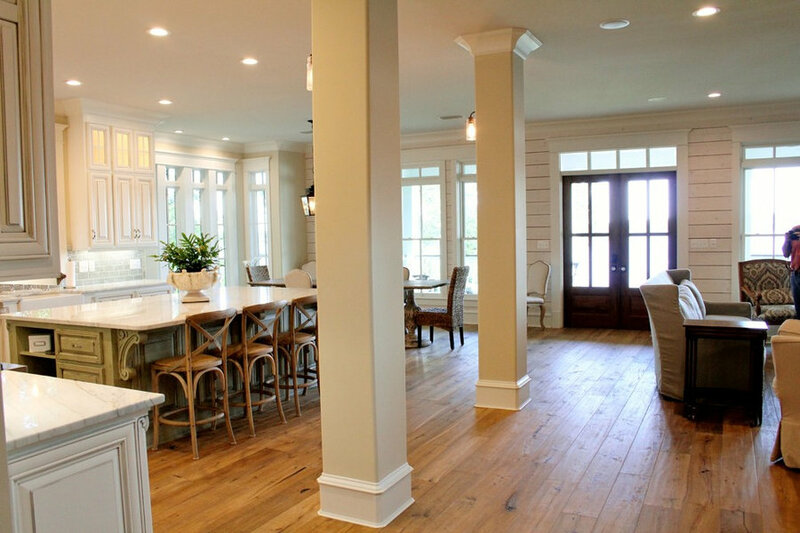 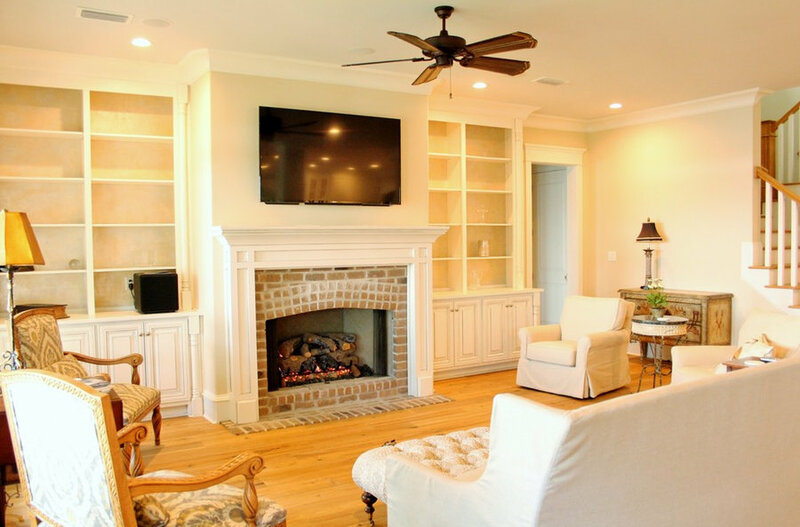 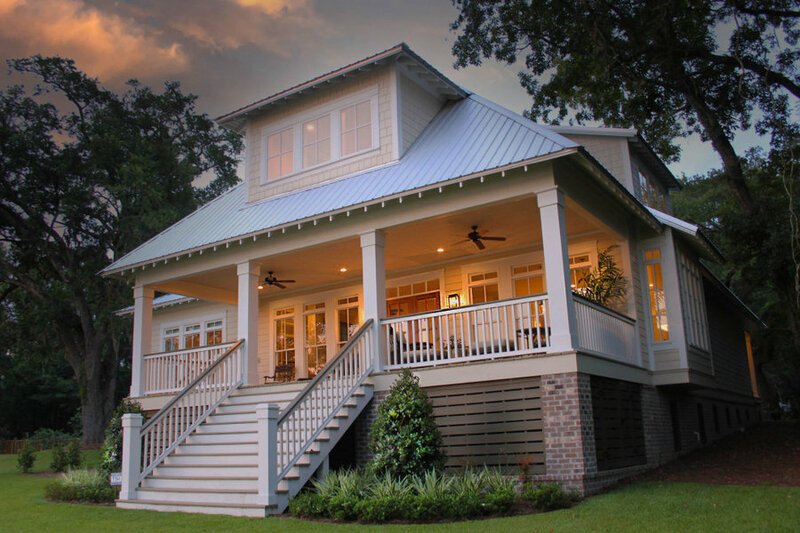 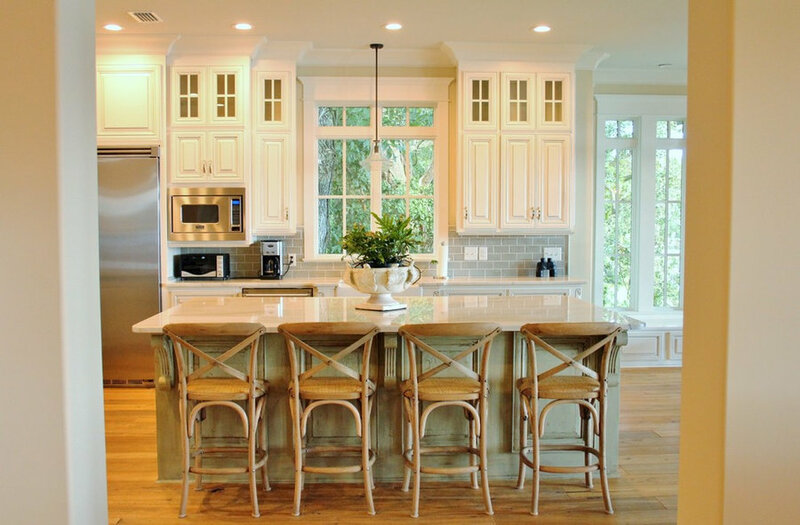 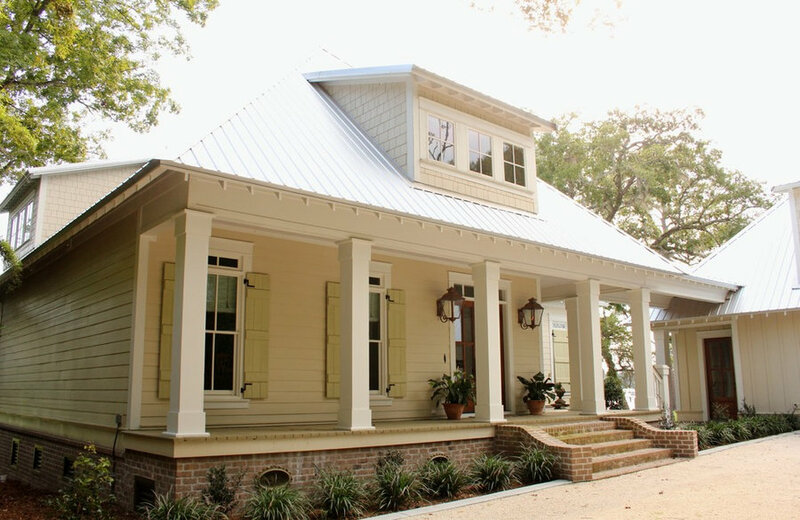 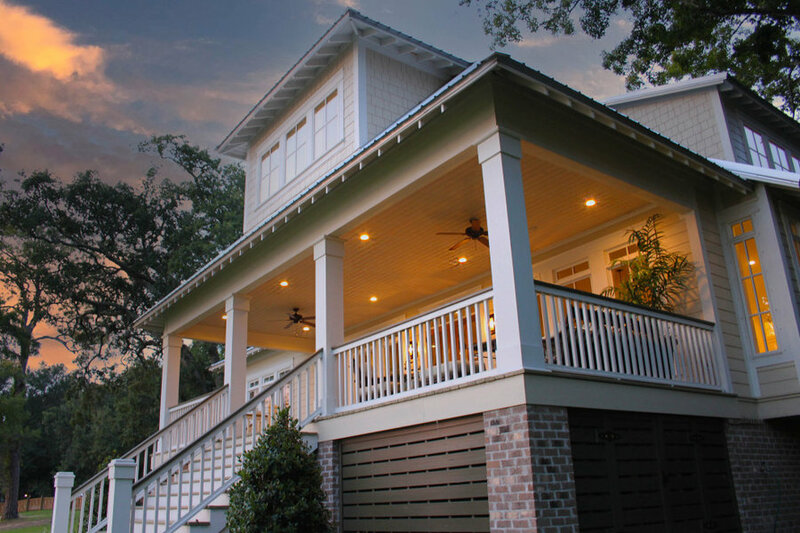 Custom detail is obvious in open rafter tails, operable shutters, windows with transoms, beautiful trim and columns, and whitewashed wood porch ceiling. 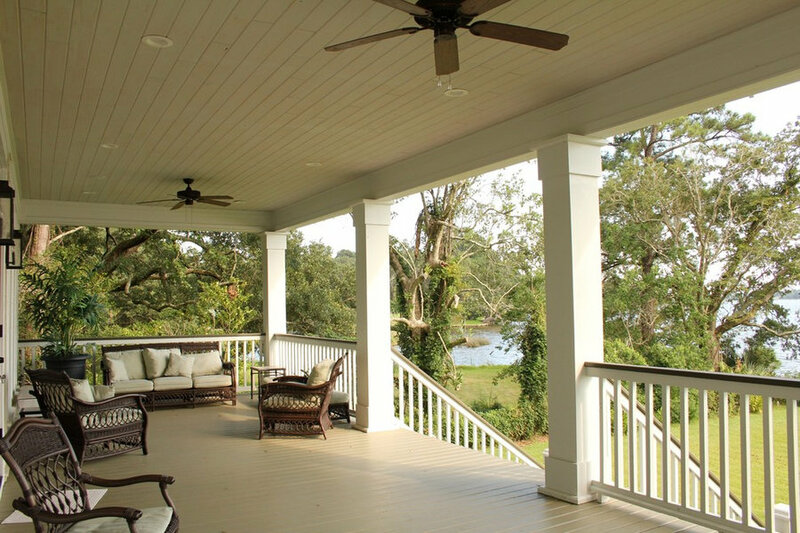 Beautiful and comfortable porches for enjoying the view of the water.